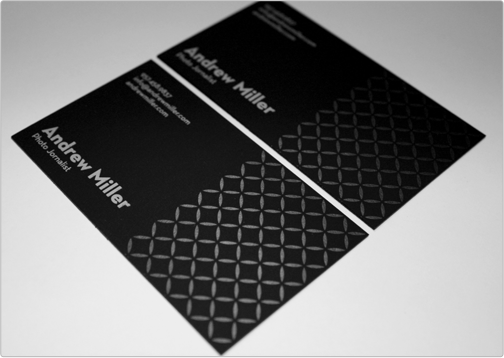 The Andrew Miller Black Suede Card is modern and edgy. 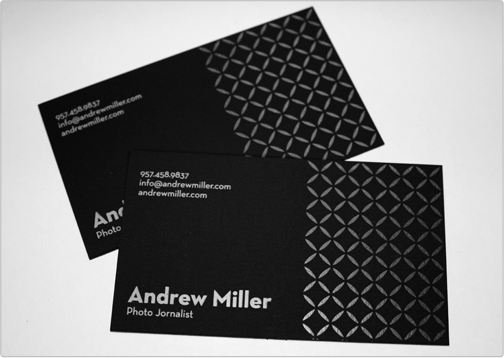 It features a very light gray ink as well as a dark gray ink for the accent pattern. Specs: standard cut black suede bc/ silver metallic ink 1 side/ gray ink 1 side.